Look at this cow. Why did you put it in the back of a Honda Civic’s cabin, wedged between the seat near a piece of fruit and an old black shoe? It doesn’t look comfortable. It looks smushed. How did you do it? 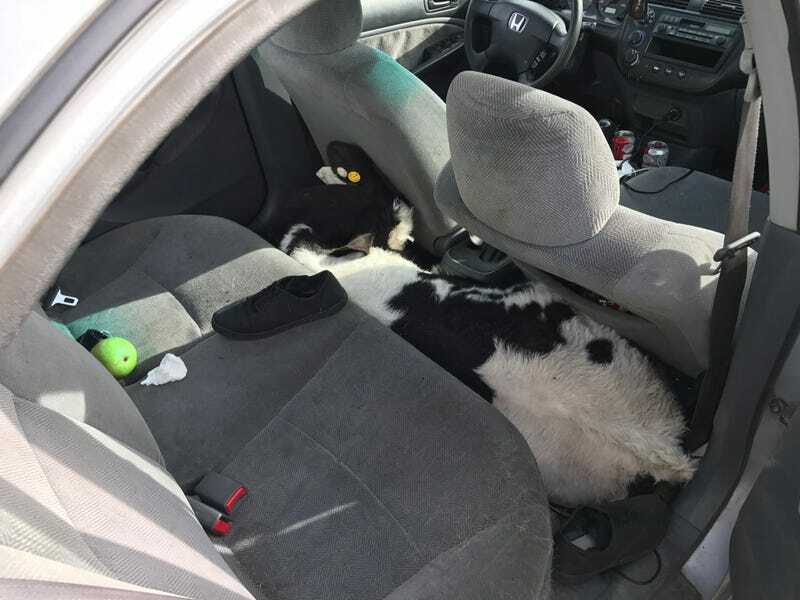 The cows had to be rescued by two California highway patrolmen, who apparently received a call around 8:30 a.m. on Saturday, alerting them that a “cow was attempting to climb out of the trunk of a parked car,” a complaint that surely happens often. 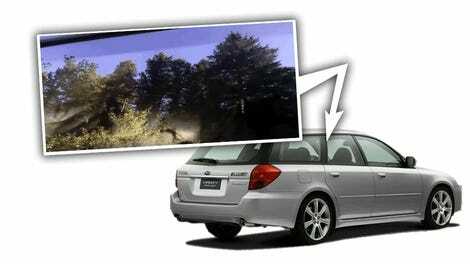 The car was a white 2001 Honda Civic that had false registration tags, naturally. When the officers showed up, one of the cows was seen struggling to climb out of the vehicle’s trunk. But there are so many questions that abound for this mysterious Civic driver. Where were you? You apparently fled before the officers arrived, and your car is now impounded. Did you want to transport the cows like this? Where were you headed? Where are you now? The cows are now being tended to at a local ranch. They do not appear to be overly happy, but the do look more comfortable than before. A county brand inspector is trying to figure out if—and when—the cows were stolen. Stealing livestock is a felony, carrying up to a year maximum in county jail. Did you know this? "I came out and a bear was crapping in my car and drinking my beer..."